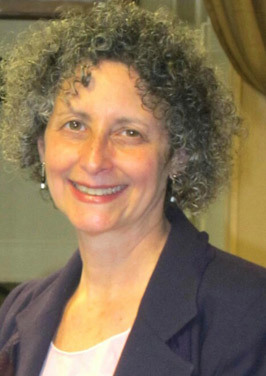 Randi C. Friedman, CRC, RPR*, author of Zen of CART, holds national certificates as a provider of real time communication access (CART). Two decades as a freelance court reporter, recording expert testimony, prepared Randi to translate speech to text as an Open Captioner/CART Provider in any setting, from the arts to the sciences, in boardrooms and at fundraisers and galas. She has testified at New Jersey legislative budget hearings to request adequate funding so that qualified CART providers/Open Captioners are available to New Jersey citizens who are deaf or hard of hearing. A contributing writer to the guidebook "How to Prepare for the Certified CART Provider Exam," her articles have appeared in the professional publication, The Journal of Court Reporting and at ncraonline.org. Randi has taught master’s classes in Open Captioning and Real Time Communication Access and is available to train personnel on communication access with people who are oral (speaking) deaf or hard of hearing. She was invited to and presented the seminar "Accommodation for the Deaf and Hard of Hearing in Public Spaces" at New York University. What are The Open Captioners’ skills? Effective Communication or Robotic Repetition?